The calendar and temperature tell us it is winter, but all hearts tell us that there is love in the air! Don't you want to snuggle under this darling quilt? 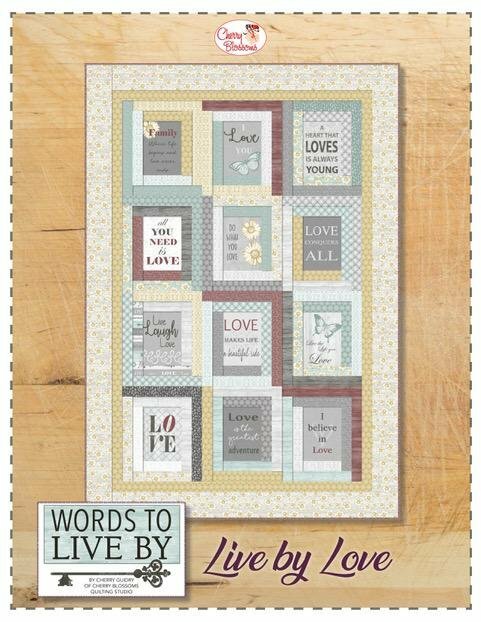 It's called "Live by Love" and designed by Cherry Guidry of Cherry Blossoms Quilting Studio. This is a fun pattern that uses a panel and strip piecing. Finished size is approximately 60" x 88".